The Basic Shotgun Course will familiarize you with the correct operation of all types of shotguns, along with teaching you how to handle and shoot them safely. This course is perfect for beginners. Developing the proper core basics of safe shotgun usage are the lifelong building blocks for many other hunting or shooting sports. The ultimate goal of the Basic Shotgun course is to teach the knowledge, skills and attitude necessary for owning and using a shotgun safely. The cost is a flat fee of $100. Students will implement the shooting techniques and safety precautions taught in class by practicing at a private firearm range. 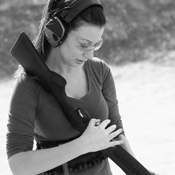 Range time can be scheduled on the same day as the class, or separately, depending on range availability. There is no age minimum, but minors must be accompanied by an adult/guardian. Students may bring their firearms to class, but live ammunition is not permitted in the building. Classes will take place in an indoor, temperature controlled classroom located at 1322 N. Academy Blvd. Suite 203. Range time takes place outdoors. All sales are final and no refunds will be given. For more info, please view the refund policy. If you do not see a date that accommodates your schedule, please call (719) 445-6638 or email info@elitefirearmsandtraining.com to set up something that does! Interested in having a private class with family and friends? Groups five or more can do so! Contact Elite Firearms to set up a date. Click here to view dates or register!